Every business, and I mean every business, needs to collect and use customer feedback. For a number of reasons small businesses mistakenly think they don’t need to run customer surveys. But when you do decide to get serious about really understanding what your customers think, which customer survey tool should you use? Let’s look at the options and the secret gotcha they all have so you can make an informed decision. To asses which tool is best you need to know what you’re trying to do. Sounds simple I know but if you don’t know what you are building, every tool will be wrong. It is easy to pay a lot of money for customer survey tool but that is not viable for a small business. So the price has to be right. While price is important so is the time it takes to set up the tool. Business owners have a lot on their plate and time is probably their most precious resource. Often an easier to use tool that takes less time to implement but costs a little more can be a better investment. Collecting customer feedback is an ongoing task so it should be quick and easy to send survey invites. You don’t want to get to the point where you are putting off gathering customer feedback because it takes too long to run the process. Collecting the data is only a small part of the customer survey effort. To be worthwhile you need to act on the data, so the tool should report the data collected from customers in a way that helps you to understand what you need to do to improve. So now we have the attributes we want to compare, let’s look at the options. 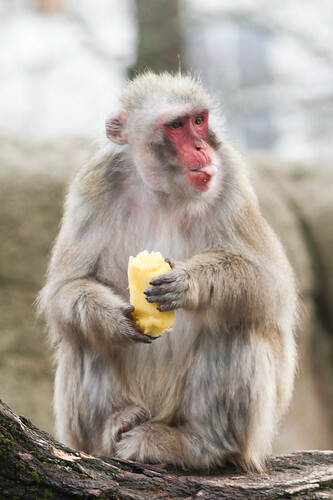 Dedicated On-line Survey Tools: Survey Monkey et. al. It seems that as long as there has been an internet there have been on-line survey tools. Probably the most well known of these is SurveyMonkey but there are tens of other companies out there that deliver similar functions at a range of price points. These tools allow a user to create surveys, collect results, download responses and display the results in simple charts. For a small business any one of these tools will work as a customer survey engine. They all have similar features and all do the critical tasks that are needed in a customer feedback survey. However, one problem with these tools is that over time they have become more and more complex as different customers wanted different features. This allows them to perform complex and sophisticated survey tasks. They do everything anyone could possible want in a survey from a simple customer feedback survey to a sophisticated branching market research survey with stratified sample quotas. So, when you buy one of these services you are buying a lot of functionality – way more than you will ever need for a small business customer feedback survey. But that comes sophistication comes at a price. The wealth of functionality can make it complex to set up these tools. There are so many options and settings that it can be difficult to know what needs to be done. Below are a range of well known (in the survey industry) sites that can perform customer feedback surveys with a short summary on the price point. All of these tools will easily handle a customer survey. SurveyMonkey This has a free level but even small businesses this find this too limiting. The free level is really just a try before you buy option. CVent This is a big business tool with a price to match. Fluid Surveys This is a corporate tool but their minimum price subscription could work for a small business. SogoSurvey This is free for small surveys and would be appropriate for small businesses customer surveys. Checkbox This is a big business tool with a price to match and is overkill for small businesses. SurveyGizmo There is a low cost option for this tool that would be appropriate for small business. Kwik Surveys This less well known tool provides a good free solution that would work for small businesses. You’ve probably heard about Google Docs and know that it provide MS Word, Excel and PowerPoint like features but did you know it also provides survey features? That’s right with Google Forms you can create surveys that you can send to your customers. The price is right for this tool: free. No matter how many responses you receive and surveys you create the price is still free. It also has all the functionality that you will need to create and operate a great customer feedback survey. You can even embed your Google survey directly into your website to make it seamless from a branding perspective. The data from your survey responses auto-magically turns up in a Google spreadsheet so you can create charts and analyze the data in a familiar tool. So there is lots to recommend the Google solution. But there is one main downside of going with the Google approach: Google doesn’t hold your hand. Many of the dedicated on-line survey tools have detailed training and step by step workflows to make it easy to set up your survey. For the inexperienced they make it easy to create and send your survey. While the Google tool is not difficult to use, it is a little bit like a blank slate. All the features are there you just have to know how to find them and configure them to do what you want. In fact it can be non-obvious how to do some things and you can spend quite a lot of time, paradoxically, Googling for answers. The WordPress content management system seems to be taking over the internet. 74.6 Million sites depend on WordPress and there are plenty of plugins that extend the functionality of the basic system. Many of those survey plugins, more than six pages worth, can be used to create forms and capture customer responses. With that functionality they can also run your customer survey. On the positive side many of the plugins are free or minimal cost. Free that is in terms of dollars but not in terms of time. On the downside it can take a long, long time to find one that works for your needs and set it up the way you want it. If you have ever added a WordPress plugin to your site you know finding a reputable supplier is imperative. A bad software developer can break your site and cause endless hours of frustration trying to resolve the issue. That unfortunately means that you can expend lots of effort finding appropriate plugins, investigating supplier reputations, installing plugins, uninstalling plugins, selecting the right one and finally setting up your survey. Even then they probably don’t come with the standard features of either dedicated on-line survey tools or Google Forms. Many business systems now come with simple customer survey functionality built in. For instance Zendesk includes a survey feature and there are plenty of AppExchange apps to add customer surveys to your Salesforce.com implementation. It is also very probable that your IVR suppler has a customer survey module hanging around somewhere as well. While they can be easy to use, these platform oriented tools are not as functional or flexible as you might like, even for simple customer feedback data collection. Their reporting and data access tools can be too simple as well. On the upside they are often well integrated into the back end of the platform. In the case of Zendesk the survey is sent automatically after a ticket is closed. It’s not clear but the secret gotcha in this process is that while all of these tools can help you build a customer survey what they don’t help with is what should be in the survey and how you need to analyse and use the data. All of the tools work very well but if you don’t have a blue print for your customer survey then the best intent in the world will not help you. It’s like buying a load of lumber, if you don’t know how to build a house it’s just a load of lumber not a house. If we assume for the minute that you have a blueprint for the survey, which tool is right for you? Below we have rated each tool types on a 1-5 scale where 1 is poor ad 5 is great. You can see that the Dedicated on-line tools and Google Docs come out about on top. While the dedicated tools hand hold you better than Google, Google’s ability to put the results directly into spreadsheets (no downloading) to create charts and perform analysis is a real winner. If you decide to go with a dedicated on-line tools, it really doesn’t matter which one you chose. They all do everything you need in terms of a customer feedback survey. Just pick the one you like the look of the best. This very helpful. I think most savvy small business owners should gauage their market using these tools. Most of these tools actually help you create a survey. Centiment.co actually tries to help local small businesses get responses on the surveys. Have you seen them? I had not seen centiment.co but had a quick look at it now. It seems to be a panel service provider with a “fund raising for schools” motif. Not a bad idea but there are many panel providers out there. Are you associated with centiment.co?